Rose was fired from CBS and PBS in November after the Washington Post identified eight women who claimed Rose engaged in "unwanted sexual advances." 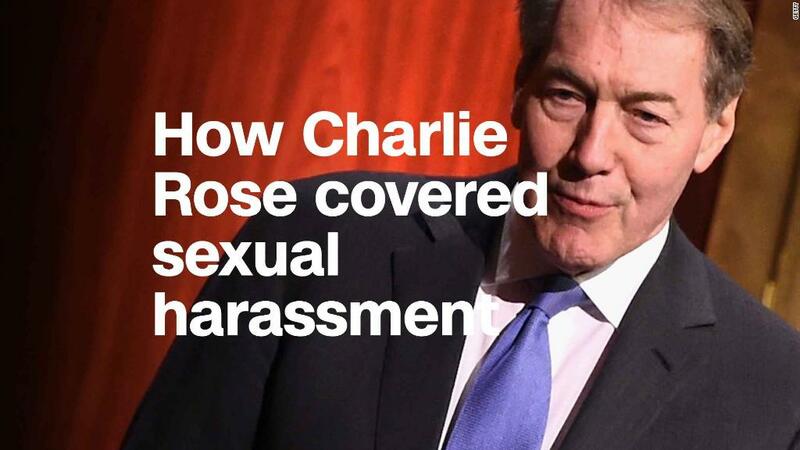 The newspaper reported Thursday that it had found an additional 27 women - 14 CBS News employees and 13 who worked with him elsewhere, who say that Rose harassed them, including sexual touching, comments and unwanted advances. Rose worked on several shows at the network, most recently as an anchor on "CBS This Morning" and as a correspondent on "60 Minutes." CBS News management was notified of a complaint about Rose as far back as 1986 according to the Post's investigation. The most recent incident of alleged misconduct reported to CBS management came in early 2017, according to the Post's investigation. Rose denied the allegations. He gave the Post a single sentence comment: "Your story is unfair and inaccurate." Charlie Rose did not respond to request for comment from CNN. Rumors about the Post's investigation have been roiling CBS News for months. CBS News did not immediately respond to CNN's request for comment about the report. CBS News President David Rhodes sent an email to staffers following the report. The text of the email was obtained by CNN. In it he said how the network responds to complaints about sexual harassment has been a "significant focus" for the network this year. "Getting this right is critical. So is our responsibility to afford due process to all concerned," he wrote. "We will continue our accounting for what has happened here before, and we will be the best place to do what we do in the future." The email from Rhodes on Thursday marks the first time that CBS Corporation has said it retained an outside law firm, Proskauer, to provide "independent advice" on how it handles complaints of sexual harassment. Rhodes' email said "we have continued to investigate a number of issues consistent with our long-standing policies." According to the Post, Rhodes issued a memo in March that said he was not aware of harassment by Charlie Rose at CBS. Rhodes said again in March at an event at George Washington University that he didn't know about the anchor's behavior, according to the Post. "Just to be really clear, there was not knowledge," he said, according to the Post's story. "We offer employees discretion and fairness, and we take swift action when we learn of unacceptable behavior," said the network's statement. "That said, we cannot corroborate or confirm many of the situations described. We continue to look for ways to improve our workplace and this period of reflection and action has been important to all of us. We are not done with this process." The manager, Chris Licht, who now heads the "Late Show With Stephen Colbert," confirmed the exchange in an email to the Post and said he talked to Rose about the incident. Licht's actions were "within the scope of CBS policy at the time" and that the "employee in question was satisfied with the result," CBS News spokesperson Christa Robinson told the paper, adding that CBS revised its policy in 2016 to require supervisors to "promptly report" harassment complaints to the human resources department or a compliance officer. --CNN's Brian Stelter contributed reporting.